Gilbert Adler,Producer ‘Superman Returns’,’Valkyrie’ once said:”Vicki’s a great director, drawing superb performances from her actors- a real talent to watch”.And sure she is a very talented young filmmaker.Her shorts won critical acclaim at international film festivals including prestigious Channel 4- 4 Talent Award in 2007 for the Best Filmmaker.I was very happy when Vicki Psarias agreed to answer few of my questions. Maggie: You once said “My Dad, who was my cameraman, shot films for me with a VHS camera I begged him to hire”. Was this the main reason why you have become a filmmaker? Vicki Psarias: From a young age, I did used to beg my Dad to hire VHS cameras-I think I really got a taste for filmmaking at 11 when my parents appeared on several episodes of BBC2’s Food and Drink. ; The director really got me involved with the outside broadcasts and I loved everything about the shoots-it was such a dynamic, creative environment to be in. I used to shoot my own films whenever I could after that-they’re hysterical to watch now and pretty accomplished for my age which surprises me! Maggie: You directed two amazing shorts ‘Rifts’ (2004),which was awarded for the Best Screenplay at the Portobello Film Festival and ‘Broken’ which was awarded by Channel 4 with the 4 Talent Award 2007 for the Best Filmmaker. I could actually recite all the awards that Broken received; however, I would need a half of a century for that. My question is: what inspired you to make ‘Broken’? 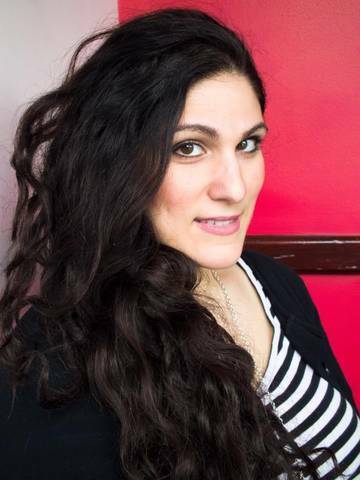 Vicki Psarias: Thank you, Rifts and Broken did pretty well on the festival circuit taking me all over the world and both are inspired by my British Cypriot community. Broken in particular tells the story of my mother arriving in the UK aged 12 so is somewhat of a family archive as much as a piece of drama. 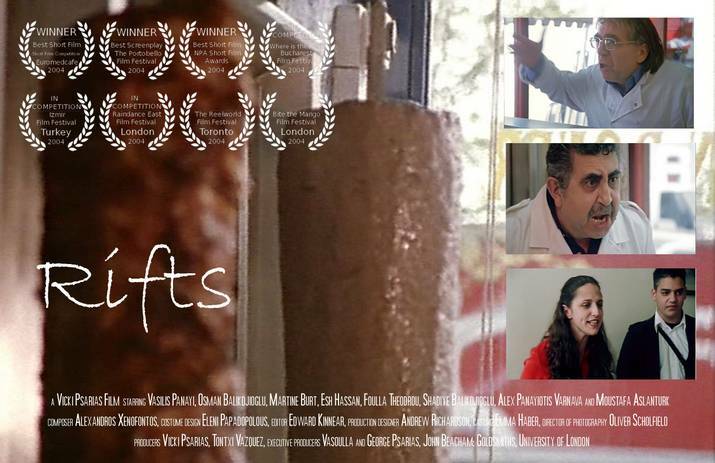 Rifts was my MA film made aged 22, and is about warring kebab shop owners-it’s currently being developed for TV. Maggie: Apart from directing films, you are also involved in making commercials/ promos and music videos, which one is more exciting or easier to make? Vicki Psarias: These tend me be quicker shoots and often bigger budgets. 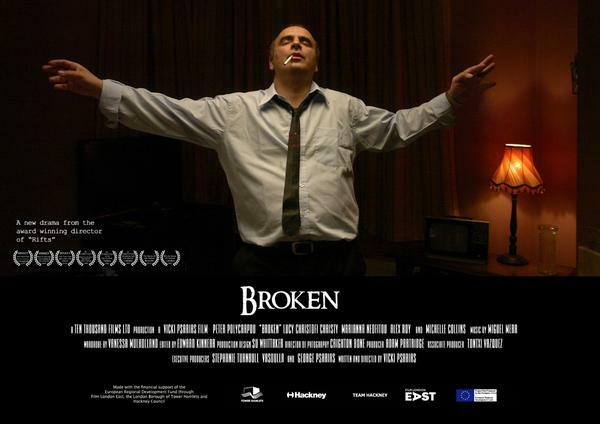 A lot of my drama work has taken a long time to finance especially as it’s indie filmmaking and for certain shorts like Broken I wanted to shoot on 35mm as it was a period piece so the budget had to accommodate that. There are pros and cons to everything-I love the fact you can push boundaries with music videos and have greater freedom. I have made quite a few social documentaries about children too and that responsibility to your subject/s makes the project not only a challenge but pretty moving too. Maggie: Is there any other filmmaker that has or had an influence on your work? Vicki Psarias: Too many to mention. I worked for Redbus (now Lionsgate UK) straight after my MA aged 22 and they were producing and distributing Bend it Like Beckham. I remember Gurinder Chadha being a huge role model for me-she was making commercial British ethnic films people wanted to see. Of course everyone from Scorcese to Andrea Arnold have inspired me. Maggie: How do you generate new ideas? Vicki Psarias: Usually just before I sleep, I can be found scribbling notes onto a pad by my bed. I think I take a lot of inspiration from my Big Fat Greek Family who are naturally very entertaining! I do believe though, the more you write, the more you write. Maggie: London or Leeds? Which of these cities give more opportunities to the filmmakers? Vicki Psarias: That’s a hard one as I moved to Leeds fairly established and I work in both cities. I write from home in Leeds and that’s the beauty of writing-you can do it anywhere. I think the fact the BBC have moved to Media City in Salford is great for the North and will bring with it many opportunities. I still work a lot in London though too, my directing work is still fairly London centric. 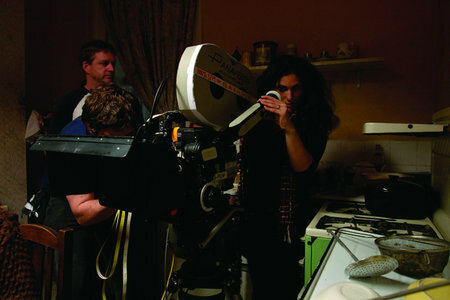 Maggie:What three pieces of advice would you give to mums who are filmmakers and struggle to cope with both. Is there any way of combining these two: being a mum and being a filmmaker? Vicki Psarias: Of course. I never wanted to sacrifice having kids for my career and strongly feel you can juggle both. I have a lot of help from my family and childcare. Many women do it and more female writer/directors should feel confident to do so. It is tricky I know, especially tv directors who are on set constantly but my child is my life. I think having Oliver has made me a stronger director in every way from working with actors, drawing performances to my endurance on set. Not sleeping for a year makes you feel you can do anything! Maggie: How does it feel to be a female filmmaker in the film industry? We all know that the industry is pretty much dominated by men? Vicki Psarias: Things are slowly improving- and I tend not to think in terms of gender to be honest. I disagree with positive discrimination-put my film in Cannes because you love it, not because there are not enough women competing. I think directing is so well suited to creative women-we can juggle so many balls at one time, constantly putting out fires and remaining dedicated to our vision. I really hope things will change. Maggie: Are you working on any new projects at the moment? ***Highly Commended at the Red Magazine Red’s Hot Women Awards in association with Calvin Klein in the Creative Category 2009***.